Bonneville's power increasingly is overpriced, Mercier said. For the next two years the budget for the largest fish and wildlife program in the United States will remain at levels seen over the last several years, but that's only if the Bonneville Power Administration is able to manage a number of uncertainties, including the price of its power on the wide open West Coast power market. According to executive manager of the Fish and Wildlife Division, Bryan Mercier, the agency's Fish and Wildlife budget, which has been around $258 million of direct expenses for three years, is set to go to $277 million in fiscal year 2018 and again in FY2019. "This is the largest fish and wildlife program in the U.S. and probably the world," Mercier told the Northwest Power and Conservation Council at its Portland meeting, August 15. "For the last 20 years we've seen a steady growth and the budget this year is tracking where we were last year…and that's a good thing." However, he said, BPA's financial situation is not as solid as thought due to the potential for reduced power sales and, as a governmental nonprofit, income and costs need to balance out, "and right now they're out of balance." Much of the uncertainty for fish and wildlife funding comes from an anticipated renegotiation of the Columbia River Basin Fish Accords which are due to expire in September 2018, litigation over the Columbia River federal hydro system biological opinion for salmon and steelhead, which was remanded in May 2016 by U.S. District Court Judge Michael H. Simons, and a resulting requirement for a National Environmental Policy Act process for Columbia and Snake river dams, as well as a more recent decision by the same Court that calls for more spill beginning next year. But the greatest uncertainty may be due to a volatile power market filled to the brim with power often cheaper than that provided by BPA. The wholesale power market on the West Coast increasingly includes large amounts of inexpensive, surplus renewable power from California, particularly solar, according to an August 18 blog by the Council's John Harrison. "At times, this has the effect of driving down prices and making surplus power marketed by the Bonneville Power Administration from its system of 31 federal dams and one non-federal nuclear plant uncompetitive," according to Harrison's blog. Since BPA finances the Council's Columbia River Basin Fish and Wildlife Program, "revenue from surplus power sales is an important part of Bonneville's budget, including the fish and wildlife program budget." As inexpensive renewable power pours into the West Coast wholesale market, Bonneville's power increasingly is overpriced, Mercier said. "This is a concern. We could lose customers," he said. "Tradeoffs and tough decisions may be necessary." In addition, a Trump Administration proposal to privatize BPA's transmission system, if the Administration acts on it, could raise residential power rates 20 to 40 percent, according to an August 2017 report by the Council, "The Value of the Columbia River Power System". That would make BPA less competitive and provide far less funding for important and required BPA initiatives as energy efficiency and fish wildlife programs. As a consequence of all these influences, the prospect of funding the Council's Fish and Wildlife Program at the $277 million budget level for FY2018 and FY2019 is not certain. 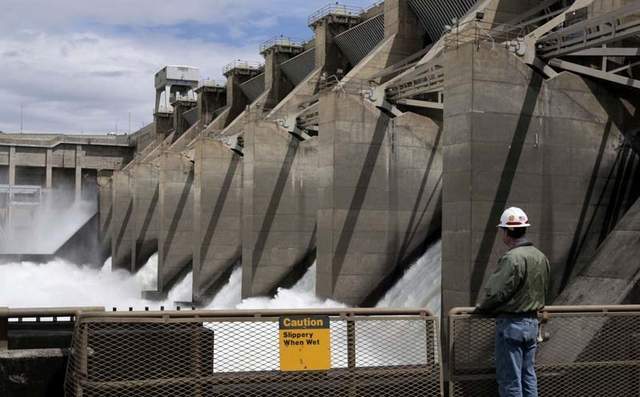 Mercier said that Bonneville recognizes the value of the fish Accords and other fish and wildlife funding, but due to other budget factors regarding power sales, "I expect the $277 million budget next year may still be adjusted in the coming months." The Columbia Basin Fish Accords expire in September 2018. Fish and wildlife project funding decisions will focus on existing priorities and commitments; on-the-ground work with direct fish and wildlife benefits before research and monitoring projects; contracting for essential Program work elements; limiting travel, training, and conference attendance; and on projects that demonstrate results and performance, Mercier said. Bonneville also is focusing attention on project contracts, looking for savings that might help offset future budget cuts. "This year we are trying to capture as much as we can at the contract level," Mercier said. "We're asking our contracting officers to be more engaged, asking pointed questions about why a project is needed and what it will accomplish. We want to find those opportunities first." "We want to get to demonstrating results of projects," he said. "Folks (managers of individual projects) that can do that will have a better chance of being funded. Those that cannot, won't (receive funding)." Fish and wildlife program growth may have been more feasible when Bonneville was a least cost provider, Mercier said, but if the cost-savings effort continues to keep the budget in check, the agency should avoid having to significantly raise rates.